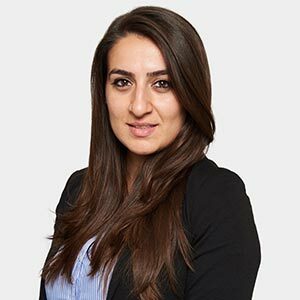 Ilkay completed her training contract at Morgan Has Solicitors prior to which she had worked as a paralegal at an established High Street firm in North London where she developed a particular interest in Criminal and Civil Litigation. Ilkay is an Accredited Police Station Representative and frequently represents clients at the police station. Ilkay also has experience in representing clients at the Magistrates’ Court. Having qualified in 2013 Ilkay has particular experience in Civil Litigation and Dispute Resolution advising clients on a wide range of matters including contractual, company and property litigation. Ilkay also has vast experience in drafting and Landlord & Tenant matters representing both parties in residential and commercial matters. In the field of Regulatory Law Ilkay has also represented clients including, but not limited to, Proceeds of Crime Act, Tax, Social Security and Licensing matters. Ilkay is fluent in Turkish and has undertaken extensive pro-bono work in her local community with a demonstrable commitment to Public Law and Human Rights. Ilkay is a very approachable team member and is in particular known for her practical and cost effective advice to clients, demonstrated in the way she has settled many disputes outside of Court with the use of various Alternative Dispute Resolution methods. Before pursuing a career in law, Ilkay studied in Brunel University and graduated in 2010 with LLB Honours. She completed her Legal Practice Course (LPC) at the College of Law, Bloomsbury in 2011. Ilkay is fluent in two languages: English and Turkish.